and I was the hand that threw it. sift down through shafts of light. Rhonda Pettit is a member of the Southern Appalachian Writers Cooperative, and the author of Fetal Waters (a poetry chapbook published by Finishing Line Press, 2012), and The Global Lovers (a poetic drama produced at the 2010 Cincinnati Fringe Festival). Two of her poems and an essay have been nominated for a Pushcart Prize. 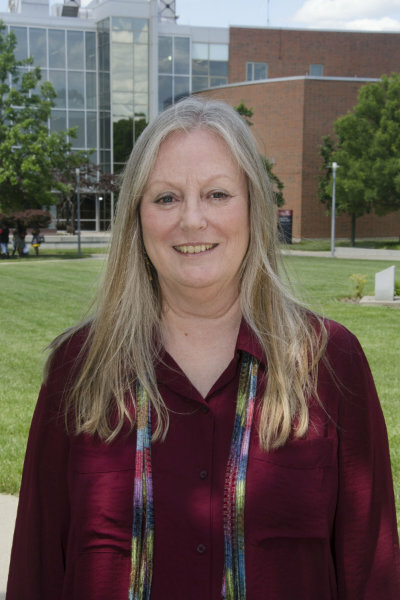 She teaches creative writing and literature at the University of Cincinnati Blue Ash College, where she is editor of the Blue Ash Review, hosts and co-produces The Poetry Café for UCTV Online, and conducts a poetry festival annually. Her individual and collaborative collages and poetry (with H. Michael Sanders) were included in three exhibitions and their related print and online publications: Gaps & Overlaps, Dada Lives!, and at the Faculty and Staff Art Exhibition at the UCBA Art Gallery in 2015, 2016, and 2017. Her scholarship on the work of Dorothy Parker produced two books, A Gendered Collision (2000) and The Critical Waltz (2005). She also served as one of the poetry editors for both volumes of The Aunt Lute Anthology of U.S. Women Writers (Hogeland et al., 2004 and 2008).